My wife and I used meth for 20 years, I am 5 years clean and she continues to relapse. We are currently separated but she wants to try and make a go of it again. I got to a point one day where I just forced myself to quit. For her it hasn't been that simple, but I refuse to let lose. Each of us is made completely uniquely. Addiction is a disease of the brain and each of our brains are effected differently by long-term drug addiction. What works for you to quit, may not work for your wife and vice-versa. Also, relapse for you is a real and present danger. 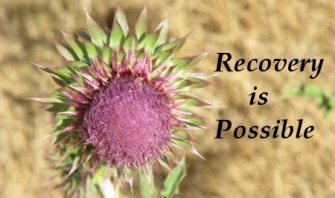 Because drug addiction is incurable, all of us a very vulnerable to relapse and need to do everything possible to avoid it. Moving back in with someone who uses our drug-of-choice is a very risky proposition. Conversely, marriage is a important relationship for most of us, and reuniting can be highly beneficial for us as well. Before getting back together, I HIGHLY recommend that you both begin going to AA or NA and working the 12 steps. Once you are both working the steps, hopefully your wife will become willing to take the steps necessary so that she can quit successfully. The 12 steps will also give you the support you need in your recovery to avoid falling back into the pit of addiction.